Since at birth an infant's eyes are not very well developed and unfocused, they are often the most likely victims of undiagnosed eye problems. Only when infants are about 4 months old do their eyes mature sufficiently to see across a room or distinguish colors and shades. Vision problems are first detected when the child starts going to school and the ailment becomes a full blown eye disease by the time children are teenagers. Premature babies are particularly vulnerable as most suffer from Retinopathy of Prematurity (ROP), that can lead from childhood myopia to avoidable blindness. Cross-eyed children are not uncommon. Cataract can also develop in the young while Amblyopia or "lazy eye" is another risk. At a later stage, prolonged use of computers, television and video games may result in Computer Vision Syndrome (CVS). 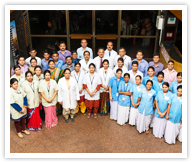 PBA Eye has complete facilities for children's eye care, including a full-fledged paediatric ward and surgery. Our skilled consultants diagnose early eye problems speedily while renowned surgeons conduct delicate eye operations, even in newborns. 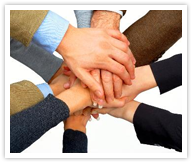 Do get in touch for any problems. Why take a risk with your child? Screening by an ophthalmologist at 6 months and a complete eye exam at 3 years is recommended. Select toys appropriate for the child's age and activity. Young children should not be allowed to play with toys with sharp edges or toys which fly or shoot. Children should be provided supervision for activities that use sharp objects such as in arts and crafts. Hazardous cleaning agents and sprays should be kept out of the reach of children. Children should not be allowed to ignite fireworks and should never stand near others who are doing the same, since fireworks are potentially dangerous for children of any age. Children should wear appropriate eye-wear during sports/recreation/ lab activities. These are some telltale signs that indicate your child could be having a vision problem. If you notice one or more of the following symptoms in your child, it is time to see a Pediatric Ophthalmologist. Is your newborn baby at risk? 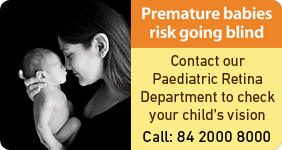 Premature babies are prone to ROP (Retinopathy of Prematurity), a potentially blinding eye disorder that primarily affects infants weighing about 1.25 Kg or less and born before 31 weeks of gestation. The smaller a baby is at birth, the more likely that baby is to develop ROP. Are there different stages of ROP? Yes. ROP is classified in five stages, ranging from mild (stage I) to severe (stage V). Most babies who develop ROP have stages I or II. However, in a small number of babies, ROP worsens, sometimes very rapidly. Untreated ROP can destroy vision. Can ROP cause other complications? Yes. Infants with ROP are at higher risk of developing certain eye problems later in life, such as retinal detachment, myopia (nearsightedness), strabismus (crossed eyes), amblyopia (lazy eye), and glaucoma. In many cases, these eye problems can be treated or controlled. The most effective proven treatments for ROP are laser therapy or cryotherapy. Laser therapy "burns away" the periphery of the retina, which has no normal blood vessels. With cryotherapy, physicians use an instrument that generates freezing temperatures to briefly touch spots on the surface of the eye that overlie the periphery of the retina. Both laser treatment and cryotherapy destroy the peripheral areas of the retina, slowing or reversing the abnormal growth of blood vessels. Cataract - Can cataract also develop in children? The lens inside the eye is transparent and allows light to pass through. Due to certain reasons this lens becomes opaque. Consequently, less light passes through and gradually vision is reduced. This condition is called Cataract. Though cataract is normally associated with old age, a significant number of children are born with cataract every year. Another group of children develop cataract at a very early age. Cataract can be bilateral (in both eyes) or unilateral (in one eye). Normal vision development takes place when the light rays reach the retina of the eye. Cataract blocks these light rays and prevents them from reaching the retina, leading to reduced vision and retarded development of vision. Surgery for cataract will not only improve vision but also prevent the development of amblyopia (lazy eye). Neither eye drops, nor tablets can cure cataract. Surgery is the only way to gain vision. This should be done as early as possible. After removal of cataract an intraocular lens (IOL) can be implanted or the child can wear glasses or contact lenses. lOLs can be safely implanted in the eyes of children aged 2 years and above. 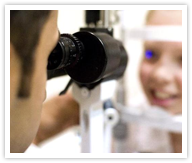 The child should be brought regularly for an eye examination as per the doctor's advice. We recommend a child stays back in the hospital for two to three days after surgery for monitoring their healing process. Since children are prone to injury, their outdoor activities should be restricted for at least 4-6 weeks. Should very young babies with cataract in both eyes undergo surgery immediately? Yes, for children with cataract in both the eyes, surgery should be performed in both eyes over a short period of time, preferably before the child is 2-3 months of age. Will a 2 month old baby be able to withstand surgery? Yes, medical science has developed to such an extent that even a new born can undergo eye surgery under general anesthesia without any problem, after taking safety precautions for smooth recovery. Will the child need to wear glasses after surgery? Yes, the child must wear glasses. It is the duty of the parents to ensure that the child wears glasses comfortably and continuously. Will young children wear thick glasses? Children are basically very smart. Though they may initially resist, once they realise that they can see well with the glasses, even an infant will develop an affinity towards it. When there is no lens implanted the spectacle will be thick and of high power. lOL is implanted it will be thin with an addition for near work. Is the child in need of any other treatment after surgery? Apart from wearing glasses, the child may have to be given patching therapy, to improve vision, if amblyopia or lazy eye has developed. 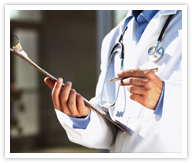 Depending upon the surgery performed, YAG (Laser) capsulotomy or other minor surgical procedures may become necessary in due course. Can normal vision be got back after cataract surgery? Age at the onset of cataract, type of surgery, time interval between the onset of cataract and surgery, regular use of glasses and the state and growth of the eyes and brain, will determine the visual outcome following surgery. Can nutritious food and vitamin tablets cure cataract? Nearsightedness is the inability to see objects at a distance clearly. Children often have a progressive form of nearsightedness, or myopia that worsens throughout childhood. Their vision, though, is easily corrected with eyeglasses, and it usually stabilizes in their 20s when their eyes have finished growing. In myopic children the eyeball is usually slightly longer than normal from front to back. As a result, objects at a distance seem blurry and unclear. Progressive myopia is predominantly caused by genetics. Children inherit a tendency to develop the eye condition from their parents. The manner in which a person uses their eyes, such as often performing detailed or up-close work or focusing on screens for extended periods of time, may also have an influence on the progression of myopia. Most often, young children with nearsightedness don't complain or only complain of difficulties seeing things far away. A nearsighted child may move closer to objects to see clearly. 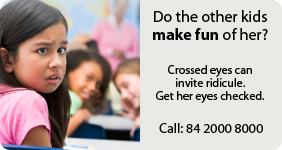 If your child seems to have trouble seeing things at a distance, make an appointment with an eye doctor. Children need to have their vision checked at birth, then again at 6-8 months and at 3 years. This is especially important if there is a family history of progressive myopia or other eye conditions. Since nearsightedness is often inherited, it is not totally possible to prevent it. 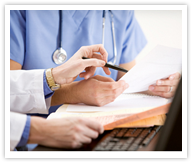 However, early diagnosis can go a long way in checking the progress of the condition. CVS or computer vision syndrome affects those who spend hours in front of a computer screen. Since it is more difficult to focus on digital images than on printed matter, reading something on a computer screen or looking closely at one for an extended period of time causes more strain on the eyes. Of late children have started using computers very early in their lives, often even before their vision is fully developed. Other over-bright screens (of televisions, cell phones etc.) cause equal stress on their vision. The angle and distance of viewing the screen is often wrong for a child since they are designed for adults. They view the computer screen from a low angle, and usually from a very short distance. Sitting for hours in front of a computer screen stresses a child's eyes because the computer forces the child's vision system to focus and strain a lot more than any other task. This can put children at an even greater risk than adults for developing symptoms of computer vision syndrome. Since the primary effect of CVS is strain on the eyes, eye fatigue is one of the primary resultant factors that can point to your child suffering from CVS. Additionally, blurred visions, headaches and rubbing their eyes frequently are also symptoms of the condition. Since CVS can effectively lead up to a host of other complications as well as physical fatigue, it is important to ensure early diagnosis and treatment so as not to hamper the normal functioning and activities of your child. Strabismus or crossed eyes (also referred to as a squint) is a condition where both the eyes do not look in the same direction. While one eye looks forwards to focus on an object, the other eye may turn either inwards, outwards, upwards or downwards. The condition occurs mostly in young children. A child with strabismus may stop using the affected eye to see with, leading to loss of vision in the affected eye or amblyopia. In most cases strabismus develops at some time in the first three years of life, some develop in older children and adults. In many cases of childhood strabismus, the reason why it develops is not known, however in some cases it occurs because of a disorder of the eye, the eye muscles, the brain or the nerves. It might be a case of congenital strabismus due to unknown causes, or a caused by a refractive error, or even due to a genetic tendency. Diagnosing strabismus is relatively simple, since the disorder manifests itself in the form of a visible deviation. However, the condition might not always be so evident. It is important to diagnose strabismus as early as possible. 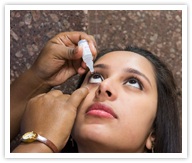 Routine checks to detect eye problems in babies and children are usually done at the newborn examination and at then again at the 6-8 month stage. Some newborn babies have a mild intermittent squint that soon goes. However, fixed squints are usually permanent unless treated. 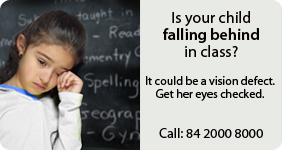 Lazy eye or Amblyopia, is a condition in children when vision not develop properly in one eye. 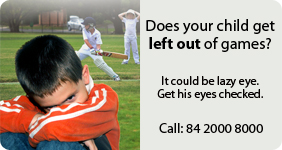 If it's left untreated, a child's vision will never develop correctly in that eye. Vision impairment becomes permanent because as the child's brain matures, it will "ignore" the image coming from the affected eye. That's why it's essential to have a child with amblyopia regularly tested by an ophthalmologist. Amblyopia may start developing if one eye has much better focus than the other eye. When the brain is confronted with both a blurry image and a clear one, it begins to ignore the blurry image. If this goes on for months or years, the vision in the eye that sees the blurry image will deteriorate. Another cause of amblyopia is strabismus, which is an ocular misalignment, meaning that one eye turns inward or outward. This prevents the eyes from focusing together on an image and may cause double vision. To combat this, the brain generally chooses to ignore the image from the deviated eye, causing the vision in that eye to deteriorate. In other cases, a child cannot see well in one eye because something blocks light from getting through, such as a cataract or a small amount of blood or other material in the back of the eye. 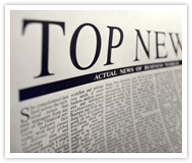 Having a family history of amblyopia is also a risk factor for the condition. All children should be screened before they are school-age. Checking to see whether your child's eyes let light all the way through (opacity may be visibly noticeable), if the eyes move normally, and if they see equally well through both eyes might give you indications towards any existing abnormality. If you suspect a problem, it is advisable to consult a Paediatric Ophthalmologist immediately. Eye care experts recommend a check-up at 6 months, 3 years, and then every two years in the school years. Often parents cannot tell just by looking at their child if they have amblyopia. Early diagnosis and treatment are the keys to the best visual outcome.